I'm a big believer in the popular environmental mantra: "Think Globally, Act Locally." When it comes to saving the planet, that saying is as true as it is simple. And when I travel, my rule of thumb for keeping it green and keeping it cheap is: "Think Locally, Travel Globally." You'll usually find the most eco-friendly and genuine travel experiences when you spend less — not more — and get local, no matter where in the world you're wandering. It's all about traveling independently (not in a tour group or packaged tour) and drilling down to the local level, getting a true sense of place by experiencing it as if you live there. 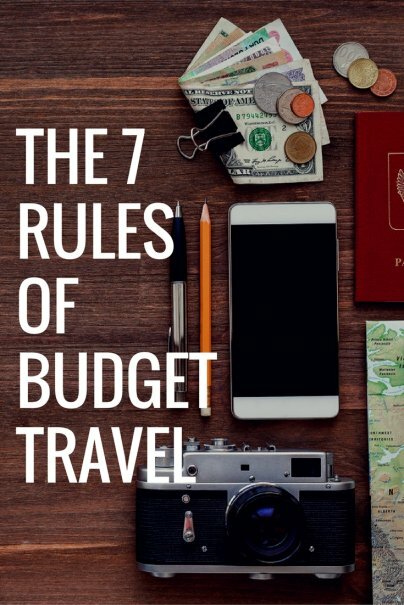 Consult a good, locally researched guidebook like those in the Lonely Planet series for basic background and logistical info before you travel, but don't use it to plan your every move, like where you'll stay, eat and hang out. By the time a guidebook recommends something, it's usually overrun with tourists (and overpriced). Except for perhaps the first night or two when you're traveling overseas and going to be suffering from jetlag, avoid making advance reservations at hotels and other accommodations before you leave home. You'll generally pay a lot more for lodging reserved from overseas, and they're rarely the type of local, affordable places you can only find once you're there. Plus, advance reservations limit your ability to be spontaneous in your travels. If you're looking for a good meal or friendly place to have a beer, put away your guidebook and open up your eyes and ears. Looking for where the locals hang out and chatting it up with them is the best — and cheapest — way to travel. To travel slowly, covering short distances, and staying places longer is the key to really getting a sense of place and people. Linger in places you've never heard of and where you don't see another tourist; don't plan an itinerary that's just one popular tourist destination (AKA "trap") followed by another. Taking public transportation, hiking or bicycling will give you a great opportunity to meet local people and see how they live. Plus it will save you a busload of traveler's checks. Americans can travel to almost anywhere in the world and pay top dollar to stay in an American-style hotel, just like the ones back home. Why even bother to travel if that's what you want? Look for locally owned, "mom and pop" places to stay, pensions and public camping facilities (sometimes free). Check out youth hostels, couch surfing and house swapping for a highly affordable, and rewarding, travel experience. Sampling the fare in local restaurants is one of the joys of travel, but you'll sell your trip short — and spend a lot more — if you don't at least occasionally pick up some groceries from a local market and prepare some of your own meals. Maybe it's just simple breakfast foods or picnic supplies. Shopping for food where the locals shop is one of the most enlightening cultural experiences I know of when you travel, and it just happens to make travel much more affordable. Not surprisingly to this Green Cheapskate, a recent study commissioned by eco-friendly lodging chain Element Hotels found that 41% of the people they surveyed said that their vigilance about conserving resources is "due to the economy" (i.e. "It saves me money! "), while just 28% said it was "due to the environment." The upshot is that when people travel, their eco-conscious habits often slip; they're not as vigilant about things like turning off the lights in their hotel room, since they're not paying the electric bill. Don't leave your eco-ethics at home when you hit the road this summer, because you can't fool Mother Nature. Good ideas for many people, but. . . In my case--single mom, and thinking of taking my son (14) to Europe-- I think safety and security will trump a lot of this, so I'll have reservations and may tour with a group. I do plan to do a lot of research and follow the spirit of getting the local experience (I especially like the grocery shopping idea). Any other ideas? I agree with most everything you wrote. However, I DISAGREE with you comment about where to eat and sleep. I have stayed at many great guest houses and eaten in many great local restaurants after they have been in Lonely Planet (most of these places were in South East Asia, Vietnam, Cambodia, Laos and Thailand). If you stay away from guest houses and restaurants just because they are included in Lonely Planet, you will be missing out on many WONDERFUL places. I like to visit a mix - some places in Lonely Planet and some not in Lonely Planet. I agree and disagree. I think some guidebooks are better than others. For Europe, use Rick Steves books. He really finds good deals and forums on his site are really helpful. I think when traveling to a new country, it's good to have a few nights in a nice hotel because traveling can be overwhelming, especially in a big city. And I think when you are traveling and have taken the time to go to a new destination, you shouldn't cheap out on yourself. Sometimes you need to see the tourist traps. My visit to Toledo, Spain was amazing and it is a total tourist trap, but it was just beautiful and I am so glad I didn't miss it. I really love the Couchsurfing experience, though. I have both hosted travelers and been hosted myself. It's phenomenal. 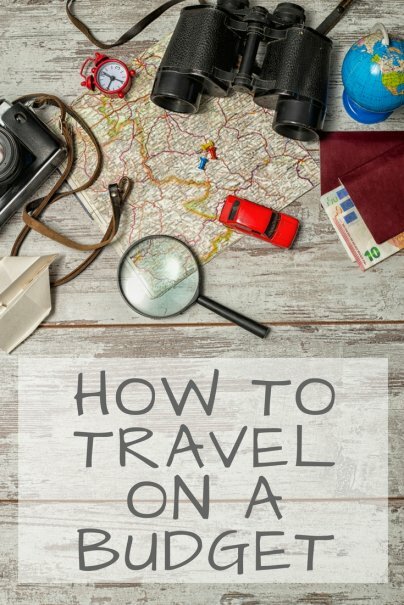 I really love the slow traveler website - lots of great tips. And a good google search for people's trip blogs will also yield a wealth of personalized resources. I have to agree with the author more so than anyone else here - Lonely Planet is a great resource, and often forms the backbone of my research for things to do and see in most destinations (primarily because it is in English, whereas alot of local written material is written in the local lingo) and also for details on connections between towns or places (so I know whether I have to catch a bus, or a train, or a boat to get from A-B and what the best deals, at least at time of writing, were). I also nearly always double-check those details on websites like WikiTravel, which tend to be more frequently updated than the book (as quickly as minutes after a change in details is found, compared to 3 years or so). Most of the time, when looking at places to stay, I have just lobbed up and then been able to bargain a rate better than offered for reserved rooms. Also, the few times I have checked out places mentioned in Lonely Planet, they have jacked their prices by as much as 50% of the rates in a book less than 3 years old, and are much less likely to move on price. BARGAIN! Dependent on the country, market and product involved, you should realise that in areas tailored to tourists, or if you are obviously a tourist in a country which is economically weaker than home, the first offered price will often be inflated. That is inflated to a point where, as a tourist, and when you compare it to what you could buy back home for the same price it is cheap, but no local would even consider paying that same amount. The problems which arise from people failing to bargain is that the next tourist may be given an even higher price (as the vendor sees just how far they can inflate the price before losing sales) and for some long-term travellers, the difference between paying US$5 and US$6 a night for a place can be quite noticeable. These are just my thoughts, but they have been cultivated by six months of backpacking through SE Asia, and so I am not just talking out my rear. I've found that an important part about travel is knowing WHEN to travel, HOW to travel, and not being afraid of searching around a bit for some good deals (ie, know how to read a map!). I recommend renting a car, not taking the train, to get to places nobody goes, and not make any reservations! I did this on a European roadtrip several years ago. Before I went, I did some basic research, looking into various hotels in and around the prime cities I'd be traveling to (Dresden, Prague and various cities in Vienna, Switzerland and Bavaria). This would be my emergency list. However, I never had to use it. I would literally just keep driving until around 9pm or so and start checking out the places that are advertised on the side of the road. And there are a lot! I would always get amazing rates. I stayed east of Dresden for 56 Euros. I stayed in Cesky Krumlov for 49 a night. I stayed near Regensburg for 69 Euros... and that room was amazing, it was like a hunting lodge, vaulted ceilings. That was the most expensive place I stayed. If you go online or read in the books, they will always say "you must always reserve your hotel ahead of time!" and then their prices will be 100, 200, 300 Euros. This is complete hogwash. They do this because they know it scares the heck out of people who have never traveled in Europe. And so you call them and they charge you this high price without even considering vacancies. But if you are willing to take a risk a little, do some exploring, and you just walk in unannounced to a guest house or hotel that has a bunch of vacancies at 9pm or 10pm, you'll get a great deal. Guaranteed. However, if you only use the train, only use the most traveled hotels and guest houses, and only travel when everyone in the world is traveling, then you will pay tons of money to do it. Kathi--I hope you don't let being a single mom keep you from really planning the trip of your dreams. You need to ask yourself whether your fears are truly rational or more along the lines of people who are afraid to fly because they *perceive* it to be more dangerous than driving in a car. Indeed, as a single woman you're probably safer traveling around Europe than you would be going about your daily business in most major U.S. cities. The sorts of petty crime that can be a genuine nuisance (pickpocketing, theft of cameras, bags, electronics, etc.) are pretty gender neutral, and probably most likely to occur in precisely the sorts of "touristy" locations that a package tour will steer you toward. And having a 14-yo man/boy in tow is an added bonus! You should think of yourselves as a Pinky-and-the-Brain duo--it's the perfect combo for taking over the world! Recruit him to help out with researching destinations, activities, plane fares, housing options, etc. In my own life - and travels - I've stopped paying what I call the "fear tax"--- all of the extra money we pay (and freedom and joy in life we sacrifice) because of preceived risks and fears, most of which are just that ... "preceived," or rather "conceived" by someone who wants to charge us a Fear Tax. Of course there are no guarantees of safety in life or in travels, no matter how much extra you pay. The only way to entirely avoid risk is to be dead. That said, I've been traveling solo, often by bicycle, since I was 15 years old. Yeah, I'm a guy, and times were different back then ,,,, but I still do it todat, all around the world, and - you know what? - nothing awful has ever happened. The only time in my life I've ever been robbed was on my home from the office on evening in Washington, DC. Go figure. Thanks for the ideas. Pinky and the Brain -- haha! We do have some time to plan while we're saving up the money, so I'll definitely give this some thought! I'm a single mom with a teenage daughter. They are an independent bunch and need time alone. I research the heck out of where we are going(mostly USA but had a week in Paris) and make reservations in fairly cheap hotels. If you don't speak the language a concierge is invaluable. Also find hotels near cafes or such. If you stay in one place long enough, the teenager can go out alone with confidence. Early morning is a great time to see the things your son does not want to-he can sleep in and lounge around for a bit at the hotel. If you both have a cell phone and access to cash(both for emergencies only) you will feel more relaxed. I agree with most of your points here, but I would especially like to comment on the guidebooks part. I agree that most guide books are a bit out of date and not too useful on the what to see what to do part, and so my husband and I have started writing our own, called Tips For Costa Rica . We actually live here in Costa Rica and our idea is to currently update the website for people who have purchased the book, that way if anything changed we'll be the first to know about it (since we're locals) and can inform our buyers asap! Thanks for the blog here, I hope you like our idea, and feel free to check out our site too! Stateside traveling without reservations could leave you without a place to stay at all. Some cities will fill to capacity or the only places left involve 3am gunfire. We have found a couple of options for hotel savings in the US, you can get some of the same deals in major European cities. Hotwire or Priceline coupled with sites like BetterBidding. Those sites use other travelers data to figure out what hotels the mystery hotels are so you know exactly what your bidding on or at least a good idea of maybe 2 hotels. We have gotten $300+ dollar rooms for just over $100. Another option that fell into our laps involved staying in Kenosha WI for the weekend. In order to get a sane rate on the room ($90 a night) on the lake we had to stay 3 days. Otherwise the room would have been $280 a night. So we took the Metra train into Chicago on the $5 weekend pass. No tolls, no expensive parking. We did hop cabs a few times because we could not find the bus stops, our printed maps were too vague. So I suggest having a data plan on your phone at least for your vacation so you can map streets wherever you are. Some major cities have a google maps integrated transit tool. We probably spent less than $150 for 4 people to spend the day in Chicago, go to a museum, eat dinner and do some shopping, have coffee etc. It's interesting to hear about the "fear factor" of traveling without reservations. Honest to god, most years I'm on the road 3-6 months out of the year (in the U.S. and abroad), and I can count on one hand the number of nights I've made advance hotel reservations (and those are usually cases when someone else is paying the bill and so they make a reservation for me). That said, I've never, even once, been unable to find a place to stay, and I usually land the lowest possible price, because I can talk to manager/clerk directly about discounts, etc. and I/they know that the room is likely to be vacant that night if they don't rent it to me. Give it a try sometime and you might be surprised ... it's not only possible, but it's so liberating to not be locked into having to be some specific place at some specific time when you travel. Great tips here. 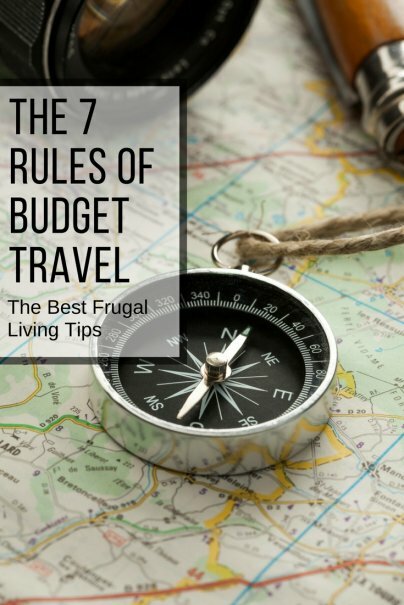 With the cost of traveling these days, any budget tips are useful. Thanks for sharing. Great ideas! Going on forums of popular vacation planning websites such as Tripadvisor can also help find recommendations from others who have already visited the country/city and found any good deals on travel method/food/accommodation etc. Talking to local people is great, and often very interesting. Great article.